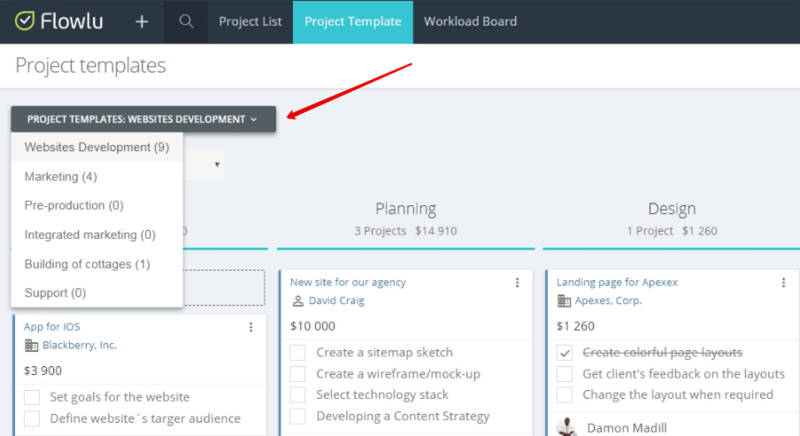 in the section "Project Templates". 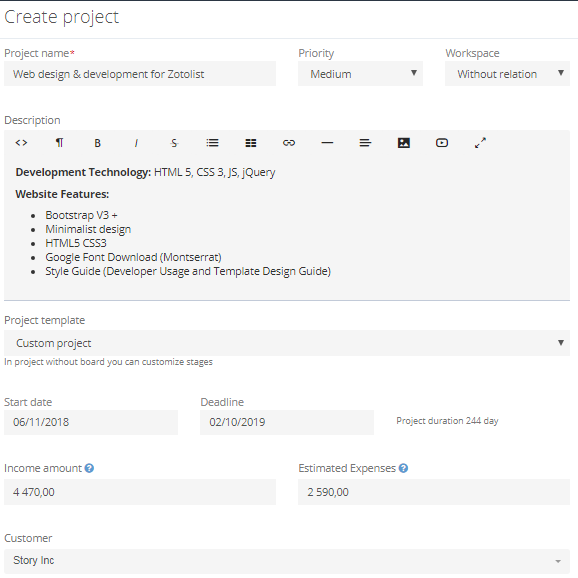 If there are several templates, you can immediately select the one you need, so that when you will create a project, a link to it will be automatically established. a customer from CRM. 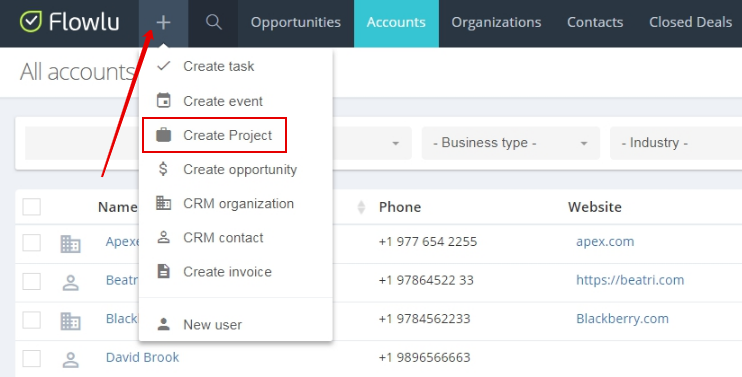 In the same column, you can add a new account card (when selecting an account, the "Create" button is displayed). keyboard_arrow_left How to control projects on board?